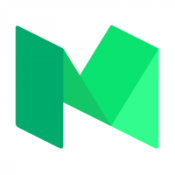 If you haven’t heard, Medium recently announced some changes to their business model. If you haven’t read about it, you can find it explained here. After this news, it appears that some Medium users started to consider moving to WordPress.com. So much so that Automattic built an import tool to import Medium posts to a WordPress.com site. But what if you wanted a self-hosted site that you can have free control of, like you can do with WordPress.org? Well, we’re here to show you another simple tool for importing those Medium posts into your WordPress.org website.